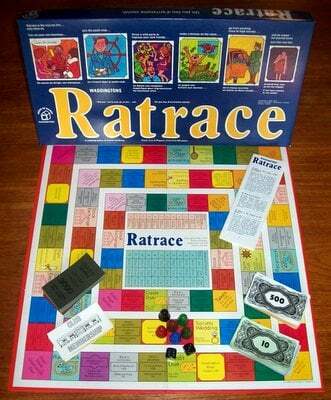 'RATRACE' BOARD GAME: Ratrace is the way we live - only more so. You run your own business, join the yacht club, throw a wild party to impress your friends, make a fortune on the races, go from working class to high society, and be wiped out paying taxes. Just like real life! Each player in Ratrace is plagued by the same problems most of us race in day-to-day life, with one important exception: Ratrace lets you see the lighter side of your struggle. In Ratrace you'll face the facts of life - like: 'the more you make the more you spend', increasing taxes, buying on credit and the ever-existing temptation (and opportunity) to try for fast, easy money. The game is complete and presents itself in very good condition throughout. The game box is clean and sturdy without rips or tearing of any kind. The game board is in very nice condition: the colours are vibrant and clean and the spine remains securely bound. 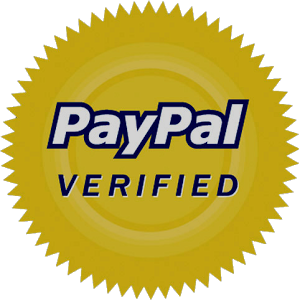 Likewise with the contents which are all present and correct.